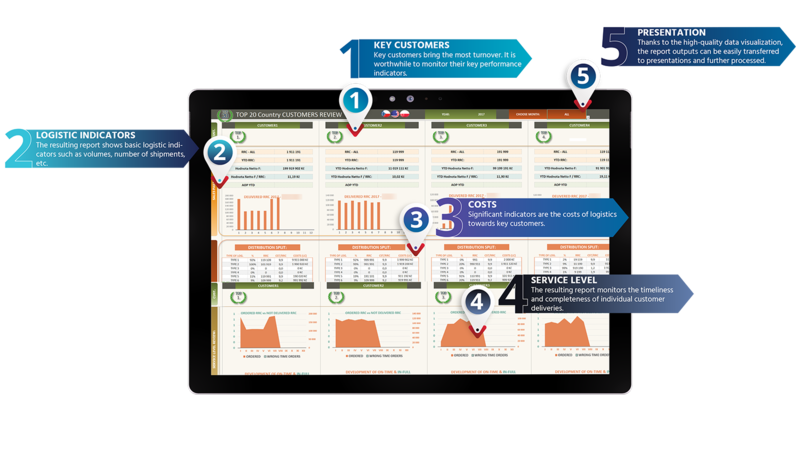 Solution for tracking logistics KPI from the point of view of key customers. For one of our clients we created an overview report with key indicators for the 20 most important customers. This KPI report looks at customers from the perspective of logistics. It serves both as a monthly overview for management and a basis for planning, be it planning in logistics or sales. Pareto principle states that roughly 80 % of the effects come from 20 % of the causes. In business-to-business (B2B) trade, typically 80 % of turnover comes from 20 % or less of customers. If the logistics management thoroughly understands distribution channels, content of orders and cost of logistics for key customers, the company can optimize the performance of the entire logistics by optimizing logistics for these customers. It can also use logistics data from key customer history to plan logistics costs. The basic principle of the Top 20 Customers KPI Review is to present the key indicators in one place. It presents the results in a form that is comprehensible and allows comparison over time and between customers. Raw data from internal database systems enters the service section of the report. The report automatically processes the data and performs all the calculations necessary to create an overview. The key customers are listed from left to right, from the most significant to the less significant in terms of sales volume. From top to bottom, the report shows individual groups of key indicators in clear tables and charts. The user can choose to see monthly results or cumulative YTD data. The fundamental information about each customer is the volume of units shipped to the customer, their value and total logistics cost per customer. Furthermore there is an overview of the logistics channels for each customer and the cost of them. It is therefore possible to see and evaluate whether there is perhaps a channel which is more expensive yet is frequently used. In the case of a customer to whom the client pays fees for using his distribution center, the cost of the DC fee is displayed in the next section of the report. For each customer, the report also shows the total composition of orders from the point of view of the type of goods and the development of logistic costs per unit over time. The last set of indicators in the report are service level indicators. The user can see the total number of non-delivered units as well as the ratio of late deliveries and the ratio of incomplete deliveries. 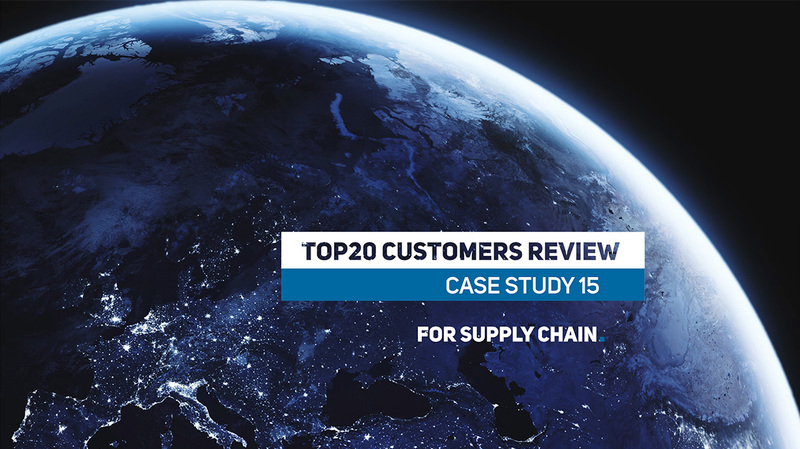 Top 20 Customers KPI Review is one of our many solutions that link the logistics perspective with customer perspective. As an example, we can name the Customers Summary or Demand Mapping in Logistics Network. We also service some of the reports for our clients and update them on a monthly basis.